Our Dyna-Form® Pro-Formance™ Fabric is the very latest, high durability fabric, designed in conjunction with healthcare professionals and polyurethane coating specialists Dartex Coatings. Launched following an extended research and trial period Dyna-Form® Pro-Formance™ is designed with primary pressure area care delivery, coupled with extensive longevity at the very forefront of the product. The Dyna-Form® Pro-Formance™ Fabric uses an innovative textile combined with a higher modulus matt surface polyurethane coating. 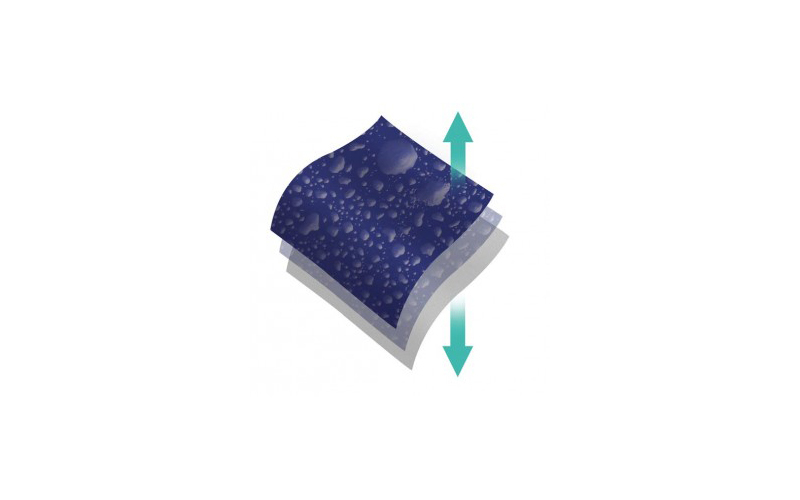 This unique combination reduces polyurethane swell when exposed to moisture, which in turn further reduces surface friction, aids patient transfer and reduces the likelihood of snagging or surface damage. The product comprises three layers of the highest quality polyurethane laminated to a robust, stretch engineered textile base. Dyna-Form® Pro-Formance™ has undergone extensive evaluation in both laboratory and high turnover acute ward environments. As wound management is at the height of our agenda, we have ensured crucial levels of moisture vapour permeability at the patient interface, whilst maintaining exceptional polyurethane abrasion performance.